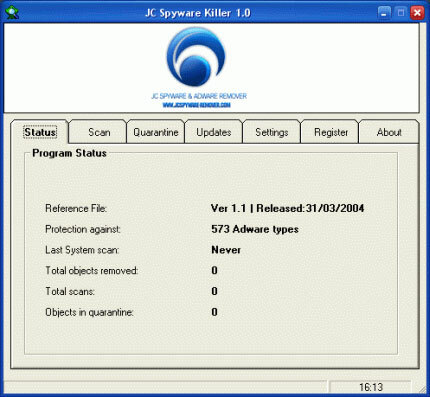 JC Spyware Remover & Adware Killer is the same application as Easy Spyware Killer and PAL Spyware Remover. Its interface and scan results are exactly the same. We have tested free version of JC Spyware Remover & Adware Killer. On clean system it didn’t find any suspicious objects, program doesn’t use false positives. Program provides protection only from 573 adware types. It scans only for the files and doesn’t check running processes and the Windows registry. 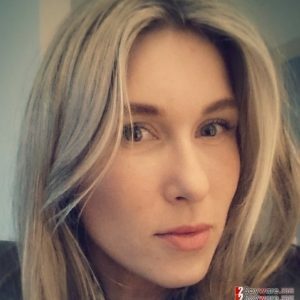 It was unable to find all spyware and adware on infected computer during Full System Scan. 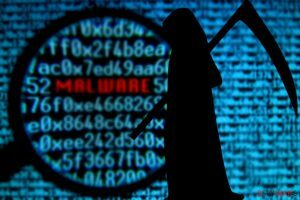 Free version of JC Spyware Remover & Adware Killer includes update function, which unfortunately doesn’t work. Program stops responding or shows error message (see a screenshot below), which means that application has crashed. We were unable to update outdated reference file, released in March, 2004. After each system scan, even if report is blank, JC Spyware Remover & Adware Killer shows message that it has found parasites and asks to purchase full version. See example of false notice below. We DO NOT recommend purchasing or using JC Spyware Remover & Adware Killer! This entry was posted on 2014-01-23 at 11:13 and is filed under Corrupt Anti-Spyware, Software.